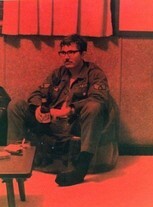 I came to Yokota after serving a tour in Danang Vietnam / 15APS / April 1969 - May 1970... any Danang 15APS vets? I went immediately to Japan without taking leave - Kent State just happened and I thought things back in the 'world' had gone a little crazy. In fact Yokota seemed like a 2 year R&R. When I got to Japan in May 1970 I was housed at Tachikawa and then at Yamato. After that I rented a house in Fussa near 'Emi's Gyosa Restaurant' where I ate pretty much every day. It was also near the 'Han' or bar row... good times! I worked at Yokota Traffic Control... Air Freight - meet and greet incoming cargo aircraft... 'Ramp Tramp' - We tracked incoming cargo aircraft on a big board with plexi strips and grease markers and co-ordinated with ACP for down loads, fuel and up loads. We also drove out to meet incoming cargo aircraft to get manifests and sign for the secure cargo. We called ourselves 'ramp tramps' when on the meet and greet run. 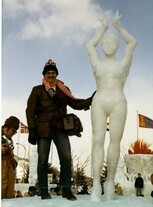 My best memory was winning a trip to the Winter Olympics in Sapporo, 1972. My buddy Ron Root bought a raffle ticket for me in the NCO club and I won... Thanks Ron wherever you are! Since then I worked in the high technology sector... mostly international - Europe, South America, Australia, Japan, Taiwan, China, Korea, Singapore; based out of New York and California. That takes care of the last 30 years. 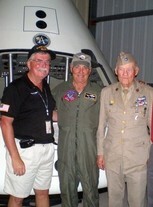 Now I volunteer at the 'Planes of Fame Air Museum' working on restoring a B17 'back to flight'. Met Bob Lewis a fellow 610 MASS vet at Planes of Fame Air Museum - although we were at Yokota virtually at the same time we never met... small world! Steve Wallace updated profile. View. Steve Wallace has a birthday today. Steve Wallace changed profile picture. Steve Wallace changed "Now" picture. Steve Wallace changed "Then" picture. Steve Wallace posted a message. New comment added. Happy Birthday Vern... Remember this BD party in Danang? 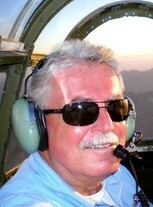 Steve Wallace added a comment on Profile. Ron Root - Worked with me in Traffic Control... Ron was responsible for getting me my trip to the Sapporo Winter Olympics!